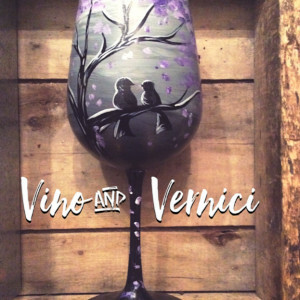 Join us on Friday, February 15th for Sip & Paint Love Birds Glasses with Melissa from Vino & Vernici! Come and enjoy an unforgettable evening filled with friends, fun and fabulous art! All of your supplies, paints, paintbrushes, and aprons will be waiting and Melissa will be here to help you create your very own masterpieces! Don’t worry, no experience is necessary. Doors open at 5:30, instruction starts at 6pm sharp. 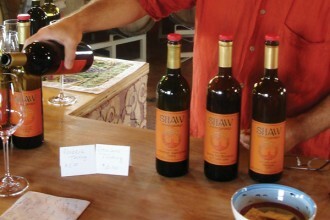 Please arrive early to claim your seat and get your complimentary beverage.